Denver walked out of Pepsi Center with a 113-85 victory as they dominated play on the second night of a back-to-back after losing to Golden State on Tuesday. With the win, the Nuggets record moves to 52-26, which puts them 1.5 games behind the Warriors for first place in the Western Conference. Scoring has been the Nuggets issue as of late, but it was not a problem on Wednesday as Denver scored the basketball early and often. The Nuggets opened the game with five straight points, which built into an 8-1 run as Denver was off and running early. 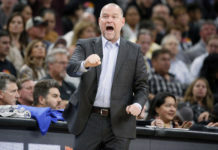 San Antonio head coach Gregg Popovich was also ejected just a minute and three seconds into the game after receiving a double technical arguing a foul call. With Popovich now done for the rest of the game, Denver had an early advantage, but San Antonio still battled early on. Even without Popovich, the Spurs are still a phenomenally sound basketball team, which showed in quarter number one. Still, the Nuggets were playing solid basketball as they held a 28-24 lead after 12 minutes of play. Even though San Antonio made a push to close the period, Denver was in firm control of the game and they built on that to begin the second quarter. A couple of baskets by Nikola Jokic and Jamal Murray got Denver going as they held a 10-point lead with 8:36 left in the quarter. The eight minute mark is when Denver really cranked it up as they went on a 13-4 run to open up a 17-point lead with five minutes left in the half. Denver would only build on that to close the second quarter as they took a 61-43 lead into the halftime locker room. At the half, Denver had 22 assists as a team, with Murray leading the way in that category with eight. 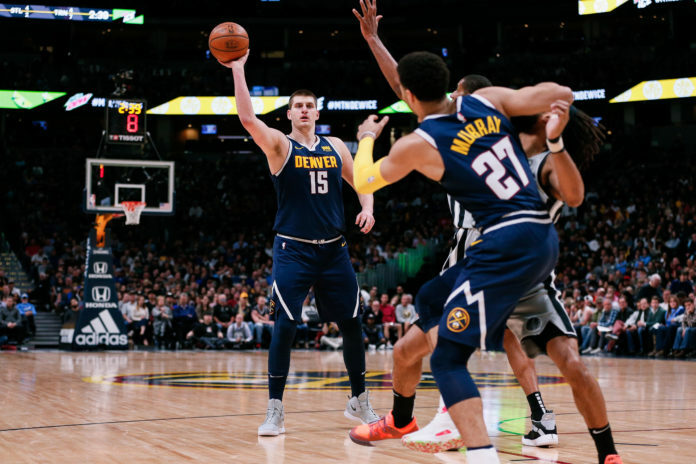 Murray also scored 12 points on 5-of-8 shooting from the field, while Jokic had the same point total to go along with eight rebounds and four assists. Will Barton and Monte Morris were also in double-figures at the break as each of them had 11 points. 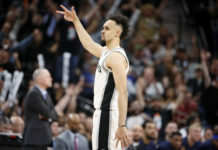 Denver was looking to put San Antonio away early in the third quarter, but the Spurs had different ideas as they came out of halftime with a different mindset offensively. San Antonio opened the quarter on a 12-8 run, which does not sound like a lot, but they were definitely playing much better basketball. The Nuggets were still in control though as they led 75-55 with 5:10 left in the period. The Nuggets continued to dominate as the quarter wore as they ended up taking a 86-64 lead into the final 12 minutes of play. Even when it looked like the Nuggets had the game well in hand, San Antonio would push back, which they did to start the fourth quarter. San Antonio got the lead down to 18-points, before Murray finished off a phenomenal alley-oop that ultimately ended the Spurs comeback attempt. Both teams emptied their benches to close the quarter as the Nuggets ended up winning 113-85 in dominating fashion. Stat leaders for Denver were Murray, who had a great game finishing with a double-double — his fourth of the season — of 14 points and 11 assists to go along with six rebounds. 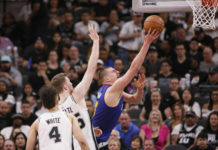 Jokic also finished with a solid stat line as he too had a double-double finishing with 20 points and 11 rebounds, while also dishing out nine assists. Other Nuggets who finished in double figures were Morris (19), Malik Beasley (19), Barton (11) and Gary Harris (11).